The Ronnie Scott’s Story: 60th Anniversary Concert. 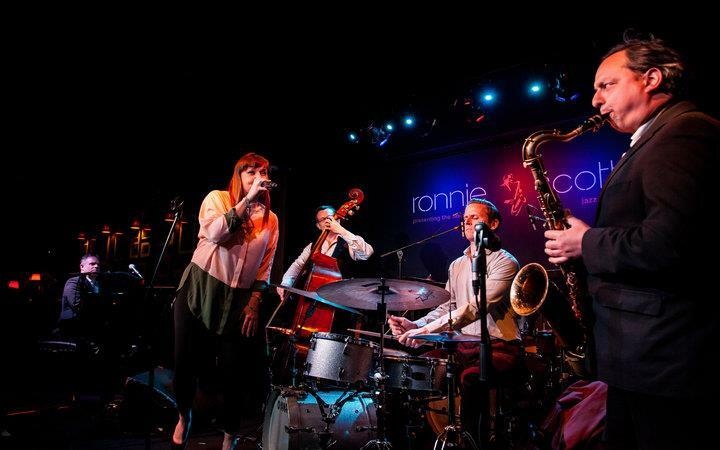 Celebrating the 60th Anniversary of one of the world's most iconic music venues, the Ronnie Scott's All Stars take to the road to celebrate the Ronnie Scott's story. Direct from London’s world-famous jazz club and combining world class live jazz, alongside rare archive photos and video footage, The Ronnie Scott’s All Stars take you on a guided, musical tour of this music institution. Set amongst the dive bars and jazz jook joints of London’s Soho, we hear about the desperate hand-to-mouth finances of the early years and the frequent police raids. We hear how Ronnie's became neutral ground within rife gang territory and their scrapes with gangsters including the Krays, who were rumoured to have taken Ronnie and Pete “for a little drive”! Life at Ronnie’s is evocatively re-imagined through tales of the club’s past visitors, from pop stars, film stars and politicians, to comedians and royalty, but above all, the musicians. Featuring classic music from the jazz greats who have performed at Ronnie Scott’s, projected images and footage, and tales of old Soho and miscreant musicians, The Ronnie Scott’s Songbook is a glimpse into this unique world and its incredible history.